The Prices North West London of lock FITTINGS and OPENINGS are COSTINGS which our customers can expect to pay. YOU WILL NOT BE LOADED WITH HIDDEN CHARGES. We are based in North London and have a shop base. We offer fair Prices North West London. YOU WILL NOT BE DISAPPOINTED WITH OUR SERVICES AND PRICES. FED UP WITH PAYING OVER THE TOP MONEY FOR FITTINGS OR OPENINGS OF LOCKS? These costings will give you an expected guide on fittings and openings of locks. Our service charge (including the first hour, which should cover any opening and fittings). The Prices North West London areas..... are as follows. ANY PARTS ON TOP OF THESE PRICES ARE NORMALLY AT RETAIL PRICES. Prices outside of the North West London Area can be quoted when booking work. REMEMBER, our aim is to open locks in a non destructive manner if possible...BUT...if our engineers need to drill locks, the cost to replace would be at approximate retail costs. Evening and weekend calls would be in the region of £85-90 inclusive of VAT. IF USING A MOBILE.....CLICK BELOW FOR A DIRECT LINK TO OUR OFFICE! For our Prices North West London. 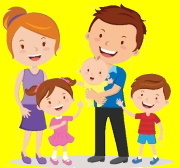 These people are happy about our work and costings, why don't you join them. No need to pay silly costs to open your locks. Do not think that because our prices are very good, we will load it on parts, WE DO NOT DO THIS. YOU PAY WHAT IS QUOTED PLUS PARTS. Subject to correct information given to our office. Our Prices North West London, are fair and competative. The following British Locks Supplied and fitted including the locks keyed alike on the same key, including VAT. 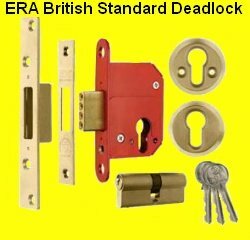 For a front door, the recommendation by Insurance companies state a British Standard lock is installed to BS3621 requirements. 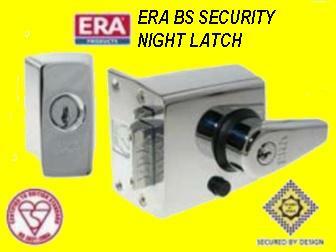 The ideal lock would be an ERA BS nightlatch fitted with an ERA BS Deadlock..these come in various finishes. Prices North West London for our services are one of the fairest in London. When you are obtaining quotes from various locksmith companies be aware that many will only quote a call out price and you will then find yourself in the situation of a locksmith arriving, completing the job and an unexpected bill. Be cautious, ask questions, as in many industries especially the locksmith trade there are many individuals who are not in fact skilled in the profession claimed. Are you a call centre? Do you have an hourly labour rate? NORTH LONDON LOCKSMITHS LTD. are not a call centre and do not charge an hourly rate! NORTH LONDON LOCKSMITHS Ltd Have been established for more than 35 years and are aware all the scams pulled. Do not be a STATISTIC!!! Ask US for a quote before any one else. We charge a service cost out, which will be in the region of £75-85 Including VAT…BUT…This will include the first hour for the designated job required. We are a fully insured registered company, with a shop and office base where we welcome you to come and talk to us. Our Locksmiths arrive in a Sign written van. 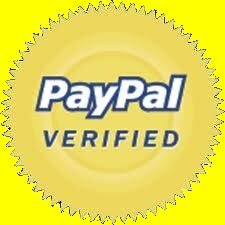 Our Prices North West London are fair and competative, you will not be charged any hidden extras on top of charges quoted. BESIDES OUR LOCK FITTING AND LOCKSMITH SERVICE WE OFFER A FIRST CLASS LOCK CHANGE SERVICE. If you would like an estimate on any work in which our 24 Hour Locksmith team undertake, or would like FREE advice on any locks or keys, please fill in the estimate form below and we will respond as soon as possible with any quote required, or telephone our office direct on 0208 800 6041, where our friendly Locksmith team will be happy to assist you.